Catch the wave of health and good living with this easy and delicious 21-day raw food plan. Mimi Kirk and her daughter, Mia Kirk White, developed the plan when they decided to team up and remind themselves of the benefits of eating all raw, all the time. They needed a plan that would work with their busy schedules, with meals that would fit into a set menu, but still allow them to mix and match foods. These recipes are so good, you’ll make them again and again. 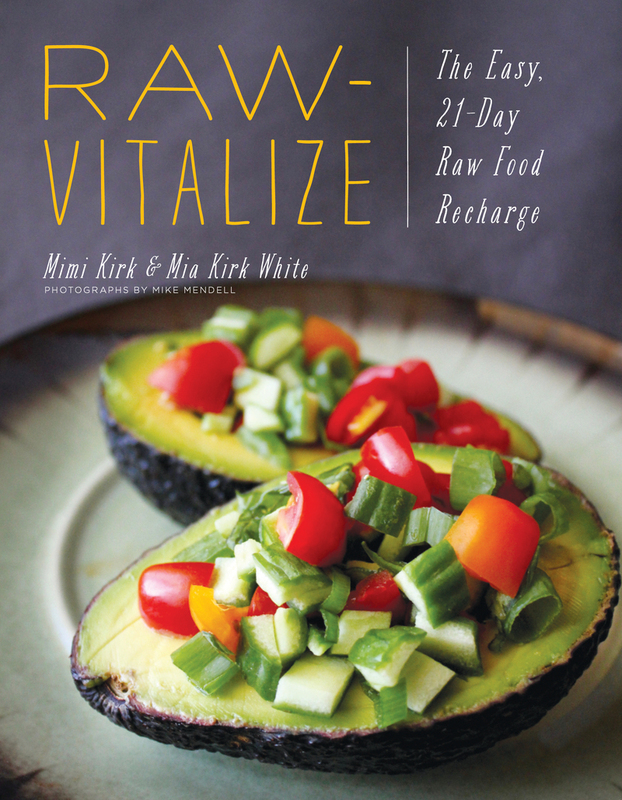 Raw-Vitalize includes shopping lists, make-ahead prep ideas, and tips for eating on the go. Mia Kirk White is a Certified Holistic Health Counselor trained in nutrition, Jin Shin, Swedish massage, and Acupressure. She lives in Richmond, Virginia with her two children.